A colourful addition to your little ones wardrobe, this white fabric is covered in bright fuchsia pink & purple flowers, its so pretty. 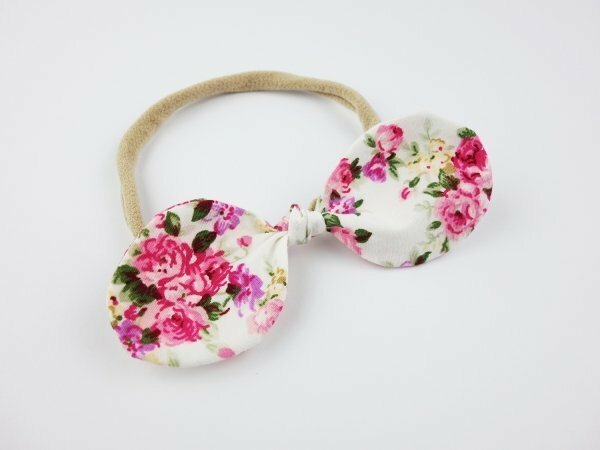 A lovely headband for your little one. These are a must have hair accessory for any little girls wardrobe. Also great for Birthday or Christmas gifts.